Volunteerism and Transparency | BASE Consulting and Management Inc. Some thoughts for Volunteer Week: Can we be more transparent about the rewards for volunteering in the not-for-profit sector? Most not-for-profit associations could not accomplish a fraction of what they do without the major contributions of their volunteers/members. These individuals give hours upon hours of dedication, talent, knowledge and expertise to govern their association or organization and to build and deliver a range of programming, content and services. In some cases, the rewards for such participation are cerebral – gaining experience in assisting one’s profession, the camaraderie, networking and the intellectual stimulus. 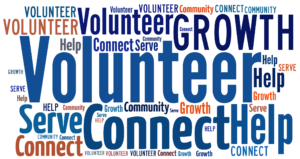 In other cases, in addition to the foregoing, volunteers (whether Board members or committee members) receive tangible items such as a stipend to defray costs such as travel, reductions or waivers of registration fees, and other considerations with a value attached. It is those more specific benefits that give rise to discussion. To be direct – there is nothing wrong in ensuring that Board members are not put to personal expense to travel to Board meetings for example, since they are already donating their time and possibly taking vacation days. But, if that Board meeting is an additional day at the annual conference, where a Board member would have attended under their own steam anyway, should the association pick up the tab, or just the incremental cost? Should the association waive the conference fee, thus incurring hard costs, on top of the lost revenue? And, do the general members know about these tangible “benefits”? With many associations struggling to maintain their economic well-being, perhaps it is time to reconsider some of these traditional approaches. Is there a new balance, combined with transparency, where volunteering neither penalizes nor rewards members financially or with tangible benefits? Don’t forget that in the context of charitable Boards, many organizations require financial contributions of their Directors! Above all, whatever course any given organization may chart, it must be consistent to all members and volunteers!